Quick And Easy Recipes, The Whole Family Will Love!!! Dinner Recipes, Snacks, Desserts And Much More!! Tips to get kids to eat and how easy it can really be!!! 5 Fat Burning Foods You Will Love! This is the perfect weight-loss food. Berries have natural fructose sugar that satisfies your longing for sweets and enough fiber so you absorb fewer calories that you eat. British researchers found that the high content of insoluble fiber in fruits, vegetables and whole grains reduces the absorption of calories from foods enough to promote width loss without hampering nutrition. Berries are a great source of potassium that can assist you in blood pressure control. Blackberries have 74 calories per cup, blueberries 81, raspberries 60 and strawberries 45. So use your imagination and enjoy the berry of your choice. The non-fat variety of plain yogurt has 120 calories per cup and low-fat, 144. It delivers a lot of protein and , like any dairy food, is rich in calcium and contains zinc and riboflavin. Yogurt is handy as a breakfast food. Cut a banana into it and add the cereal of your choice. You can find ways to use it in other types of cooking, to – sauces, soups, dips, toppings, stuffings and spreads. Many kitchen gadget departments even sell a simple funnel for making yogurt cheese. 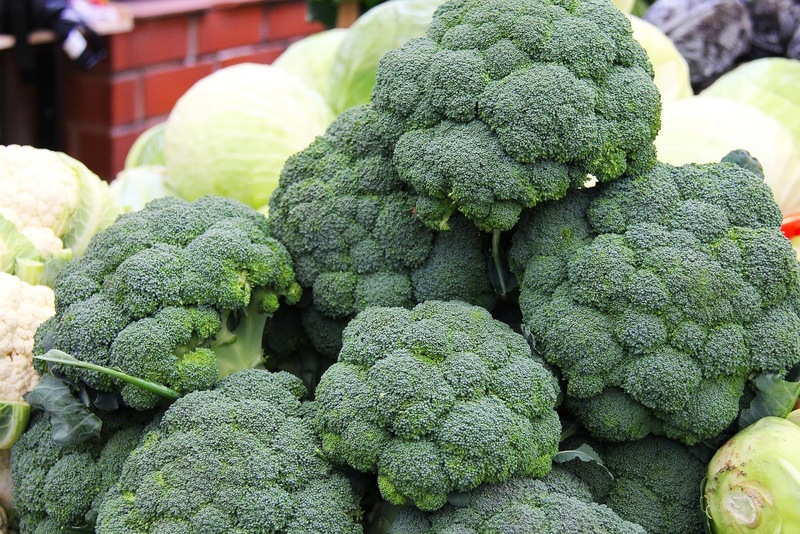 Broccoli is America’s favorite vegetable, according to a recent poll. No wonder. A cup of cooked broccoli has a mere 44 calories. It delivers a staggering nutritional payload and is considered the number one cancer fighting vegetable. It has no fat, loads of fiber, cancer fighting chemicals called indoles, carotene, 21 times the RDA of vitamin C and calcium. When you’re buying broccoli, pay attention to the color. The tiny florets should be rich green and free of yellowing. Stems should be firm. Try the hot, spicy kind you find in Asian import stores, specialty shops and exotic groceries. Dr. Jaya Henry of Oxford Polytechnic Institute in England, found that the amount of hot mustard normally called for in Mexican, Indian and Asian recipes, about one teaspoon, temporarily speeds up the metabolism, just as caffeine and the drug ephedrine do. 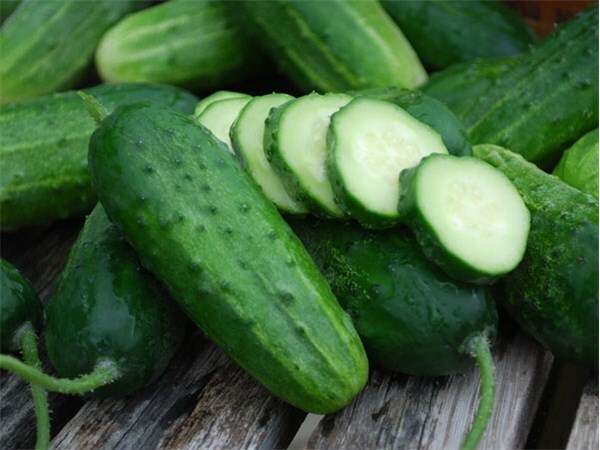 4 Health Benefits From Eating Cucumbers! 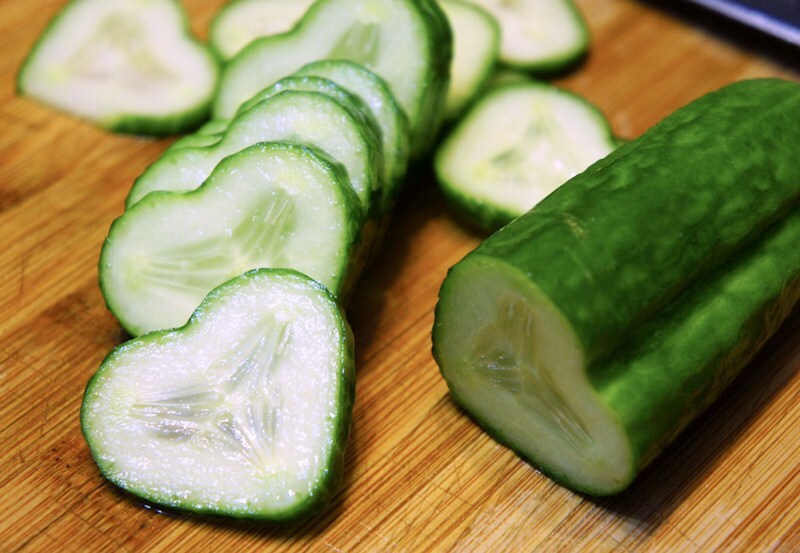 Cucumbers are known as,one of the worlds healthiest vegetables. When you wait until they are ripe and yellow, they are mushy and spongy, instead of firm and crispy. Which is lets face it, one of the biggest reasons we love them so much! 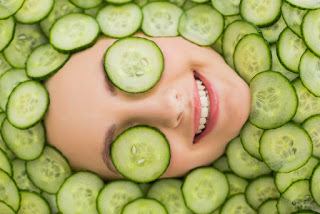 Cucumbers hydrate the skin and provide the sulfur needed for the development of healthy skin cells, nails and hair growth. They also cleanse your bloodstream of toxic waste. Because of their ability to hydrate your skin, Cucumbers are recommended for those who suffer from the dry itchiness of eczema, psoriasis and dermatosis. When applied directly onto the skin, cucumbers have been proven to be a highly effective beauty treatment. A) Rub the inside of a cucumber directly on your skin. B) Slice into thin rounds and place directly onto affected areas. Given their high water content(96%) and soluble fiber content (0.8%) they facilitate movement through the intestine. With their seedy make up, cucumbers are a great way to help relieve the pain an suffering of constipation. Anything that contains a lot of seeds will help move things along in no time! Because cucumbers are so low in calories and high in that satisfying crunch we all love, they make for a great snack or addition to any meal. Removes excess uric acid as it facilitates the elimination of uric acid and any other waste substances. 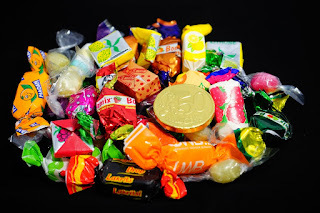 Due to the fact that they are quite low in sugar and carbohydrates , but provide a high amount of vitamins and minerals. 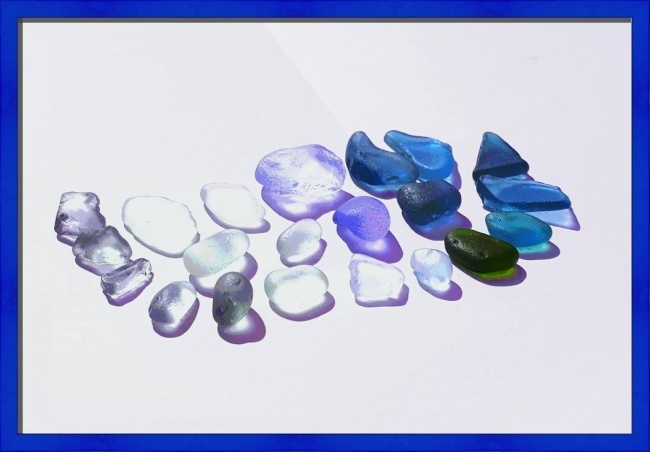 Their high dietary and therapeutic value resides in their minerals, which are highly alkaline. Cucumbers contain potassium, calcium, phosphorus, magnesium and iron. The Jedi Code, To Ultimate Mental Health! While entirely fictional, the enigmatic concept known as “The Force” is based on some very real principles. In the movie, Star Wars, the “Force” is often spoken of by members of a religious order called the Jedi. The warrior-priests of the Jedi Order served as the main proponents of what they believed to be the core concepts of The Force. The concept and the order are fictional, but the principles by which the Jedi lived their lives are excellent guides to living one’s life, especially amidst all the chaos of the modern world. For as long as the “Dark Side” of The Force is equated not to evil but to negative influences in one’s life, the principles of the Jedi Code can easily be used to form a personal philosophy for living a good life, complete with a healthy mental attitude. Below you’ll find the core principles of the Jedi philosophy, and some ideas on how they can be adapted to the trials and tribulations of modern life. Being able to control one’s emotions was critical to a Jedi, as their tasks often required that they remain as objective as possible. Fear and anxiety can have negative effects on one’s decision-making, which in turn can wreak havoc on one’s life. By taking control of one’s stress and anxiety, separating it from the tasks that need to be done, you can effectively find better solutions to your problems than you would have if you let your anxiety affect your analysis of the situation. This concept does not advise denying one’s emotions, since doing so can result in more anxiety disorders and psychological issues than it solves. It merely says that people should let logic and analysis guide their decisions, not their feelings. The Jedi Order espoused the determined pursuit of knowledge. To support the quest for enlightenment, they built a grand library that contained volumes of information on various topics and disciplines that were necessary to educate and train a Jedi. They also shared that knowledge, to better enlighten the same people they were attempting to protect. Many problems with anxiety and phobias can be alleviated if people just took the time to understand things. A little knowledge can help someone overcome the fear and anxiety that one encounters when exposed to a totally alien culture. 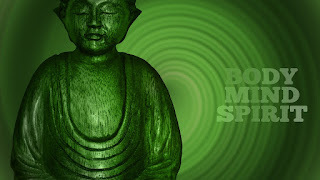 In some cases, anxiety disorders can also be overcome simply by equipping one’s mind with sufficient knowledge about the source of the anxiety, thus allowing a person to better understand and face the problem. Similar to the first principle, the Jedi believed that being too passionate about something was dangerous, as it could cloud one’s judgment and objectivity. For people in their position, objectivity was critical in nearly all situations. The same can be said of pretty much anyone in the modern world. Emotions and passion can cloud our ability to make good decisions, as well as have an adverse effect on our ability to recognize our mistakes and correct them to avert further damage. 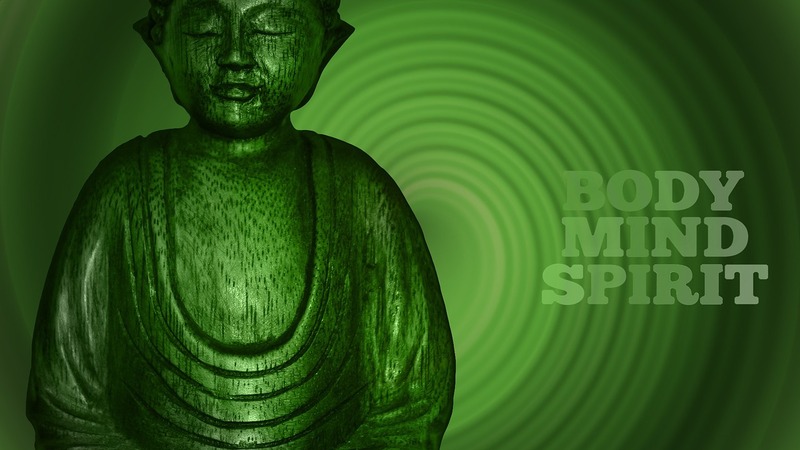 stress and anxiety build up by dwelling on the negative,then your mind is serene and you can then make better decisions and take a clearer look at what is going on in one’s life. The Jedi believed that when someone dies, they become one with The Force. This allowed them to see death not as a negative event, but merely a transition that one was inevitably going to get past. Adapting this to modern life, negative events can be portrayed as the “death” the philosophy mentions, with “The Force” acting as a metaphor for life itself. In other words, it is basically stating that, regardless of all the negative events in one’s life, regardless of all the fear and anxiety, the nausea induced by corporate and familial duties, there is still life itself. 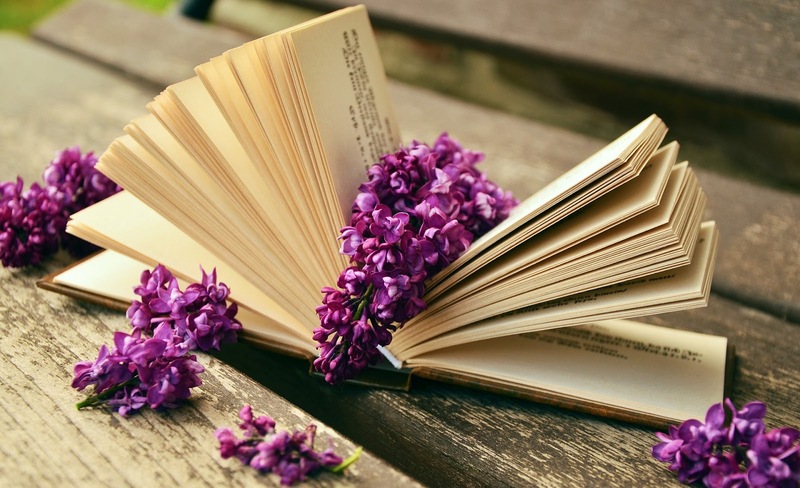 To use one metaphor to explain another, if something bad comes your way, take some time out to stop and smell the roses. Your entire life will not be dictated by one car crash or an unfair termination. Life goes on and moves on, and so should you.Taking all of the above principles into account, it is difficult to see how they could fail to lead to a better state of mind, even amidst the chaos of modern life. That is, if they are followed like a personal philosophy and not taken as mere guidelines. Besides, if one espouses the opposite of the above principles, one is liable to burn out rather quickly. Did you know that seaweed is actually a vegetable?? It is indeed, a vegetable. A vegetable of the sea. With it's abundance of nutrients and health benefits, seaweed is in fact classified as a vegetable. Some are even calling it a Superfood. There are also many other plants that grow around and in the sea. Many of which contain a shocking amount of health benefits. Many types of Seaweeds have in abundance fiber, protein, Vitamin B12, and trace minerals. 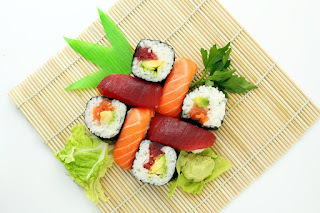 Iodine and omega-3 fatty acids, are essential for brain development. Yes, by adding a few seaweeds to your daily diet, you can increase your health. Sea vegetables can be harvested from fresh, clean, unpolluted ocean waters. 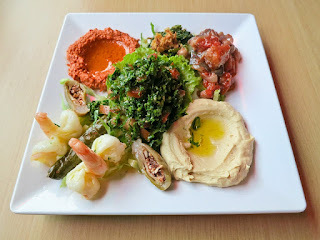 Sea vegetables come in a large variety of shapes, sizes, colors and they range in flavors from strong intense sea flavor to only a mild hints of that salty sea. You may find many of these fresh sea vegetables all year round at your local grocery or health food store. When purchasing sea vegetables look for, even, vibrant coloring. They should be moist and ply able. Not dry or crumbly. When buying seaweed, choose certified organic brands where possible. Seaweeds will absorb the properties of the water in which they are grown, so you want to make sure that they have been grown and harvested in Clean, unpolluted waters that are pure, and free from harmful chemicals. Keep your sea vegetables moist by placing them in a plastic bag or air tight container, place in the fridge. **Quick Tip** Add a folded piece of damp paper towel to the baggie, this will help keep them from getting slimy. Your Sea vegetables will keep in your fridge for up to a week. Fresh: Many people all over the world enjoy the amazing taste of dulse raw. Being from the east coast, my entire family has been enjoying it's delicious chewiness since I was quite small. Even my eight year old loves it! If you have grown up along a rocky shore you know someone who Loves it. 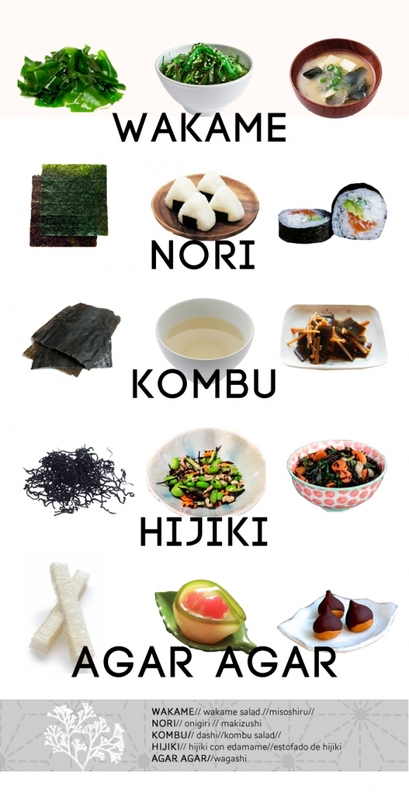 Dried sheets of nori are used for making those sushi rolls everyone loves! 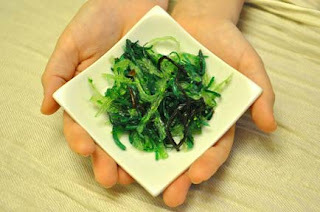 Cooking Sea Vegetables: There are many ways you can cook and enjoy seaweed. Steam it, Stew it, Boil it, bake it or broil it. Even fry it with a little bacon if you please. They make a great beginning to an incredible soup stock. 1) Wakame: Wakame has a mild salty flavor and a nice tender texture. It is especially delicious is stews and soups. Also great paired with vegetables or bean dishes. The fonds of wakame are quite tender and only need a few minutes to cook. Wakame is not only extremely high in nutritional value but is also extremely low in calorie and minimal in fat. It contains only about five calories per serving and is said to actually help burn fat. Wakame helps to prevent heart disease, cancer, diabetes, blood clotting, and obesity. Wakame has beneficial effects with stroke, hypertension (high blood pressure), viral infections, tumors, oxidation and inflammation while promoting a good immune system. Wakame is a great addition to any diet as there are few things we can eat that are so replete with nutrients and health benefits. 2) Arame: Arame has a mild sweet flavor, and is shockingly filled with iodine. It is delicious thrown into a stir fry or soup broth. Try it sprinkled ontop of rice. Soak your fonds in water and watch them triple in size. Add to sautéed vegetables, salads, and baked goods. Sweeter and milder than its cousin hiziki. Rich in beneficial fiber. Low fat, low sodium, and a good source of vitamin A, calcium, and magnesium. When dried and cooked arame resembles hiziki in color and appearance, it is softer, more delicate and much milder in flavor. Arame is the sweetest all the sea vegetables with a pleasing texture and appearance. These qualities make it the most appealing to those just beginning to familiarize their palate with sea vegetables. 3) Hijki: Dried hijiki has a very strong, salty flavor. It goes well with sweet vegetables, such as pumpkins or carrots. Bring dried hijiki back to it's softer form quickly by placing in warm water for a few minutes. Some of the greatest health benefits of hijiki include its ability to improve the health of the digestive system, boost energy levels, strengthen bones, help prevent diabetes, lower cholesterol, eliminate sleep disorders, balance hormonal activity, and improve metabolic efficiency. 4) Marsh Samphire: Marsh Samphire can be found along the ocean shore. It has long, thin, fleshy leaves with a rich salty flavor. Enjoy marsh samphire lightly steamed or pickled. Marsh Samphire is known for its digestive and anti-flatulent properties. It is rich in iodine and is packed with phytochemicals that protect the liver, heart and cellular DNA. Marsh Samphire is also rich in vitamins A, C, B2, B15, amino acids, and minerals, such as iron, calcium and magnesium phosphorus, calcium, silica, zinc, manganese and vitamin D. Not surprising at all, that it was used by sailors may years ago on ocean voyages to combat scurvy. 5) Bladderwrack: This larger stronger leaf has a much stronger seaweed flavor. It is best when it steamed and added to dishes like stir fries and soups. Due to high iodine content it was traditionally used to make a health promoting tea or broth. 6) Dulse: Dulse has always been quite popular in Ireland and Scotland. It has a rich, meaty flavor along with a gelatinous texture. It makes a great chewy salty snack. A great addition to long simmered stews and soups or mixed into fried potatoes. The Benefits of Dulse: Rids the body of harmful heavy medals, helps rebuild all glands in the body, supports healthy brain function. Dulse helps heal a poor digestive system, as it is high in calcium, fiber and protein. Dulse can also increase metabolism and may aide with weight loss. 7) Sea Lettuce: The large, wavy edged leaves have a mild salty. The leaves are tender enough that they can be added into your salads, in it's raw for. You can also add them to your soups. Try it fried in butter and garlic, until leaves crispy. You will never think the same about seaweed again. Promotes bone health – 100 grams of sea lettuce provide us with 490 milligrams of calcium and 3200 milligrams of magnesium. While everyone knows that calcium is good for our bones and teeth, most people don’t realize that we also need magnesium to help us absorb it. Since sea lettuce is rich in both minerals, it is an ideal food for building bones and preventing osteoporosis. Weight loss properties – Sea lettuce is an excellent weight loss food for three reasons: One 100 gram serving of it contains only 130 calories, a meager 0.6 grams of fat, and an impressive 29.1 grams of dietary fiber (which helps us to feel full after eating). 8) Kelp: Kelp is valued for it's rich meaty flavor, it can be found along the North Atlantic Shores. Kelp is high in essential nutrients and tates great in soup stock. Try it steamed and served as a side vegetable. Kelp helps in Thyroid Gland Regulation: Due to Kelps high levels of natural iodine, it is essential in regulating our thyroid hormones and therefore our metabolism and energy levels. Win/Win! 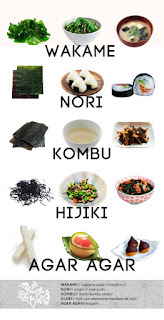 9) Nori: Nori is cultivated in Japan. It is dried and pressed into tissue like sheets. With it's light salty flavor, these sheets make a delicious, tender wrap for those amazing sushi rolls we all love. Nori is toasted before packaging and has to be stored in an air-tight container, after opening to reduce air exposure and prevent it from absorbing moisture. As it will wither and lose its crispiness. 10) Agar-Agar: This type of seaweed is colorless, flavorless, gelatinous substance is extracted from various sea vegetables. It is used as a brilliant alternative to gelatin. It is sold in health food stores in both flake and powder varieties, and can be used in a variety of dairy-free and vegan recipes as a stabilizing and thickening agent for custards,puddings, sauces and even vegetarian marshmallows. 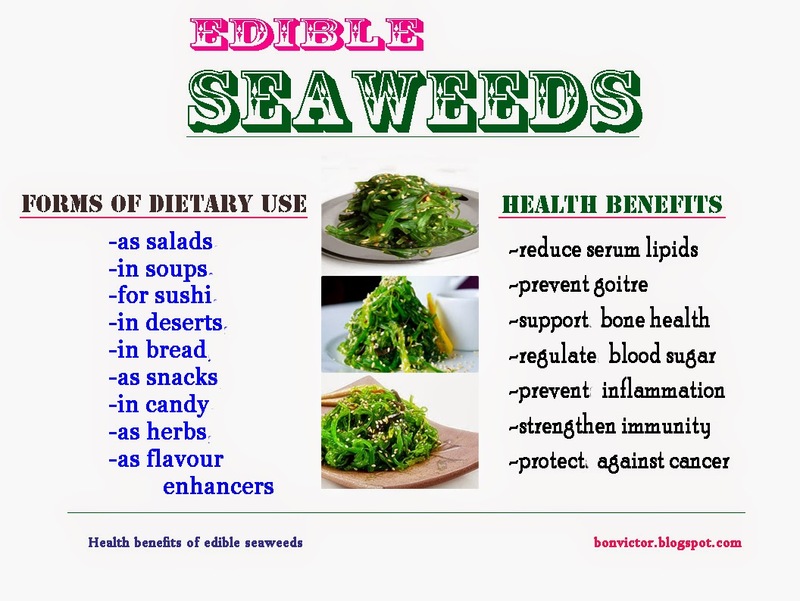 Seaweeds are one of nature's true wonder/super foods! There are so many great varieties to chose from. There are many fantastic reasons to start including seaweeds into your daily diet. They are one of the most nutritionally dense plants on the planet and also the most abundant source of minerals in the plant kingdom as they have access to all the nutrients in the ocean. 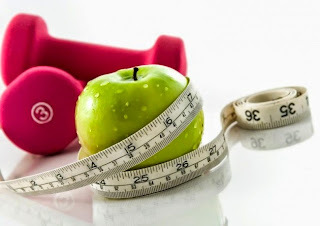 Finding The Best Weight Loss Program For YOU!! By Eating Less Fat And Becoming More Active. To guarantee a lifetime of weight-control success, you have to change the type of foods you eat, so that you ingest less fat and still get the vitamins, minerals, trace elements, protein, fat and carbohydrates your body needs to thrive. but they’ll lead to failure in the long run. That’s because humans are genetically protected against starvation. During food shortages, our bodies slow down our metabolisms and burn less energy so we can stay alive. A part of our brain called the hypothalamus keeps us on an even weight keep by creating a “set point.” That’s the weight where we feel comfortable. The hypothalamus determines this point based on the level of consumption it’s used to. It seeks to keep our weight constant, even if that point is over what it should be. When we drastically cut back our food intake, the brain thinks the body is starving, and in an effort to preserve life, it slows the metabolism. Soon the pounds stop coming off. Consequently, we grow hungry and uncomfortable and then eat more. And then the diet fails. How Can You Compensate That Metabolic Slow-Down? The answer is that you have to change the nutritional composition of the foods you eat. You will have to cut down on total calories – that’s absolutely basic to weight loss. More important, however, is reducing the percentage of total calories you are getting from fat. That’s how you’ll avoid starvation panic in your system. At the same time, you reduce the amount of fat in your food, replacing it with safe, low calorie, nutrient-rich plant foods. This will convince your brain that your body is getting all the nutrition it needs. In fact, you’ll be able to eat more food and feel more satisfied while consuming fewer calories and fats. 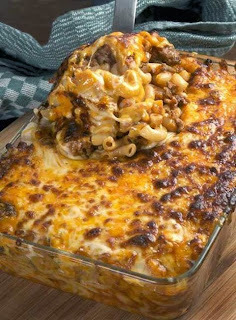 There are many great things that can be done with 1lb of ground beef !! With just a little garlic and onion the possibilities are near endless!! Here are just a few of my Favorites!!! 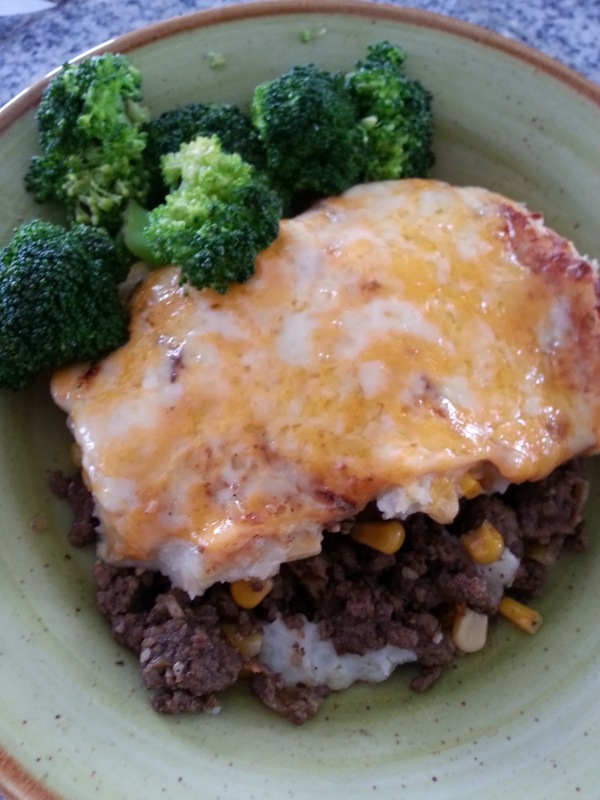 Perfect Precooked Ground Beef To Add To Any Of Your Recipes! 2) Add spices,oxo, 2 tbsp water, stir cover and cook over med-low heat for 5 minutes. 5) Combine all corn and peas together in a bowl. 6) In a 9-12 inch casserole dish(can be round or square)Place cooked beef, in the bottom of the pan. 7) Cover with veggie mixture, add potatoes, and top with cheese! 8) Place in oven for 10 minutes, or until cheese starts to bubbles, and potatoes are golden brown. 5 Tips To Buying The Freshest Vegetables! Buying The Freshest Produce Will Save You Money, It Will Last Longer And Go Further! 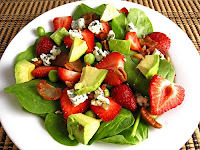 Vibrant Color: Chose the vegetables with bright, vibrant colors. Be sure there is no yellowing of the skin. Especially with broccoli, cauliflower, and your leafy greens! Always check for bruises, blemishes and soft spots. Tight Skin: Loose or wrinkled skin indicates the vegetable is drying out and has been sitting for a while. Be sure to look for taut, firm skin. Smell: Your vegetables should have a clean, fresh fragrance that makes you smile. Firmness: Your vegetables should be firm with a heavier weight. If they seem light, it could indicate the vegetable is drying out! Fresh Ends: To be sure your root vegetables are of the best quality and as fresh as they can be, inspect the cut ends to insure they are clean and free from any withering or browning. The cut should look fresh and moist! 10 Kitchen Tips, To Make Life A Little Easier! 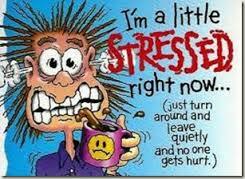 10 Kitchen Tips To Help Ease Your Kitchen Stress! 1) Cleaning A Food Spill From The Oven:While your oven is still warm, sprinkle the spill with table salt. Once the oven has cooled, scrape it up with a spatula. or salt close by. If a fire breaks out, pour over flames. Using a damp washcloth, sprinkle it with baking soda. Using a circular motion be sure to cover the glass with the baking soda. Baking soda will help dissolve those pesky baked on stains. Rinse with a warm wet washcloth and wipe dry. It will look like a brand new oven door. Line the oven with tinfoil, or a rectangular foil cookie sheet. It will catch anything that bubbles over, and when it gets dirty you can just replace it. Instead of scrubbing like a crazy person. it will just fall right off. and then easily sweep it up with the broom. and baking soda paste rub onto stains. Wait five minutes and rinse. A) Coat burnt area with a baking soda and water paste,let stand for 3 hours and scrape clean with a spatula . rinse with soap and hot water. It should almost wipe right out. Add 1 Cup of vinegar to your mop water. Not only will it make your floor look great,but it will also remove any odors in the air!! the high heat from the burner floats up and around the pot. Instead of under it, where it should be. Is Your Obsession With Clean Eating, Putting Your Mental Health At Risk?? It Is The Obsession With Healthy, "Clean Eating"
As it gains traction in this age of Instagrammed food photos, some think it should be recognized as its own eating disorder. "It's really a real fixation," one nutritionist tells NBC News of those who take things too far. "They almost become like a fan club, especially on social media." Steven Bratman, a doctor who coined the term back in 1997, says it's time to recognize it as a type of disorder on par with anorexia but distinct, i.e. the objective isn't weight loss but purity. Still, many in the medical field cite a lack of sufficient research and too much overlap with currently described disorders, from anorexia to obsessive compulsive disorder, to warrant its own classification, reports the Washington Post. "The dietary obsessions that people get into with anorexia often lead into these kinds of concerns with proper nutrition and healthy eating," says the director of an eating disorders program. "There’s a great deal of overlap." researching natural remedies and get this book instead. You’ll find so many simple recipes and tips – that actually work! Laundry Detergent & Fabric SoftenerMake your own homemade laundry detergent and fabric softener,with natural ingredients. Eliminate your dependence on chemical products. Be Sure To Go Over The Safety Rules! Before you get started discuss safety with your children. Since the crayons will have to be melted at a very high heat, they will not be able to participate in that portion of the candle making process. Assure them that there are many other aspects of the candle making that they can be a part of. To start, gather your supplies. In addition to the crayons, you will need a wax carton. This can be from milk, fabric softener, or orange juice. You will also need paraffin wax, two full ice cube trays, a double boiler, and white packing string. If you don’t want to use your double boiler an old coffee can and a saucepan will work just as well. Trim the top off of the wax carton, leaving it approximately six inches high. You will want to cut the string at least long. You will later cut the wick to fit the holder. To ensure a wick that burns easier take three pieces and bread them together. Use smaller pieces of string to tie the ends together. The holders for your candles can be anything you desire as long as they are non-flammable. Pretty vases, glasses, and jars work nicely. 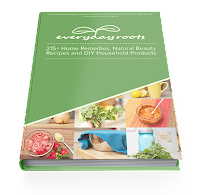 Signup Now For Your Free Cookbook! 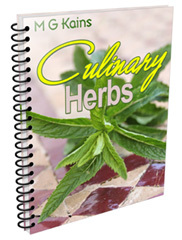 A Great Book Of Recipes For Your Favorite Herbs! Get More Great Recipes Sent Right To Your Inbox! 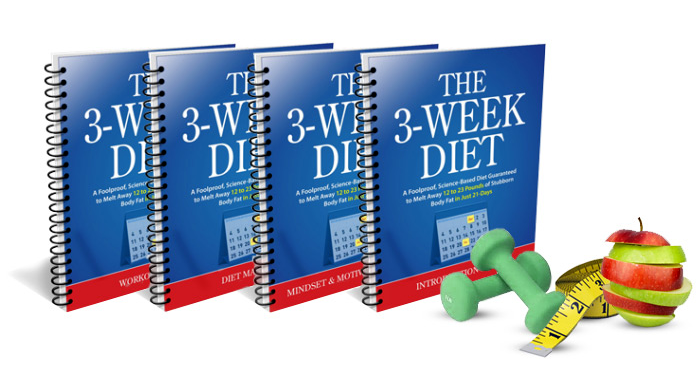 Lose Weight Or It's Free! So Good U Won't Want To Share!! 3 Tips To Whiter Teeth, Using Items That Are ALWAYS In Your Kitchen! 3 Easy Recipes, The Whole Family Will Love!! Get Paid To Be Social, Earn Easy Money Online!! !